The Palmeri family has a long tradition of serving the bus transportation needs of The Lehigh Valley and the surrounding areas in Pennsylvania and New Jersey. It all began in 1960 when James F. Palmeri started the first school bus run from Martins Creek, PA to surrounding school districts. This grew from a two bus operation into a large fleet. The school bus fleet was passed down to James’ son Carl and continues to be a family run business. In 1962, we began water hauling service in the community. We started our excavating operation in 1945 with just a single coal truck. As the community expanded, we expanded, and today, we take pride in delivering vital commodities to residents and businesses in the Lehigh Valley. 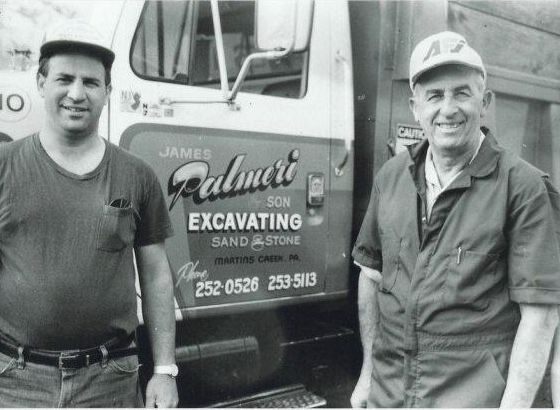 When it comes to excavation expertise, the community has come to depend on Palmeri Group. We proudly uphold the mission of our founder, James F. Palmeri, which is to serve our customers with outstanding service and provide them with the safe, dependable transportation services they have come to know and expect. Palmeri Transportation has been providing shuttle service on Friday, Saturday, and Sundays since September 2010 for our students at Muhlenberg College. The shuttle service transports our students to shopping centers, movies, and the Lehigh Valley Mall. Their service is prompt and courteous. The drivers are well trained and professional . The drivers are courteous and respectful to our students. Their safety record is outstanding with no accidents or mishaps. Palmer Transportation gets a five star rating from me. We were experiencing issues with our septic system and called Palmeri’s. Working closely with the township inspector, Carl Palmeri was able to troubleshoot the situation within 24 hours and we could not have asked for a more professional job! We highly recommend the services of Palmeri Excavating. I wanted a vendor I could trust for my wedding transportation, and Palmeri Transportation was an excellent choice! The team in the office was easy to work with. Our driver, Steve, was on time and a joy to be with. Additionally, when we forgot a suit jacket and wallet on the coach, Palmeri arranged for us to pick it up the very next day. 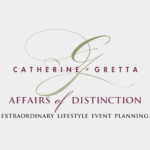 I highly recommend using Palmeri Transportation to get you to and from your next event! I first contacted Palmeri almost a year ago to arrange transportation for my daughter's wedding. They were very responsive and helpful with a friendly attitude, what I would characterize as true professionals. In this day and age when good customer focus seems to be a thing of the past, Palmeri really stands out. I am extremely confident, based upon this experience, that everything will work out great on the day of my daughter's wedding. Palmeri Transportation’s Mini Coach is my “go to” service for special excursions. They are always timely, attentive and provide a safe, clean vehicle. The drivers are always professional and more than willing to accommodate the needs of our guests. Thank you Palmeri for your service!